Located in the city of Santa Paolina, in the Avellino area of Campania, Marilena Aufiero’s father inherited the land through his family and planted vines himself. Her parents decided to retire in 2006 and Marilena had been working as a professional lawyer while working at the family winery, until 2009 when she decided to pursue winemaking full time. In doing so she wanted to focus her energies on only their own grapes, specifically that of Greco di Tufo which has become her passion. It is a rich, complex and expressive varietal with a spectrum of potential expressions embodied in its difficult growing nature, its tannins and acid structure that requires time to evolve. To reach such heights and to care for the delicate upkeep of her vineyards, she stresses keeping the environment as natural as possible, from vineyard to cellar to the point of eschewing malolactic fermentation and any form of stabilization in the final product and of course never using any form of pesticides or herbicides. 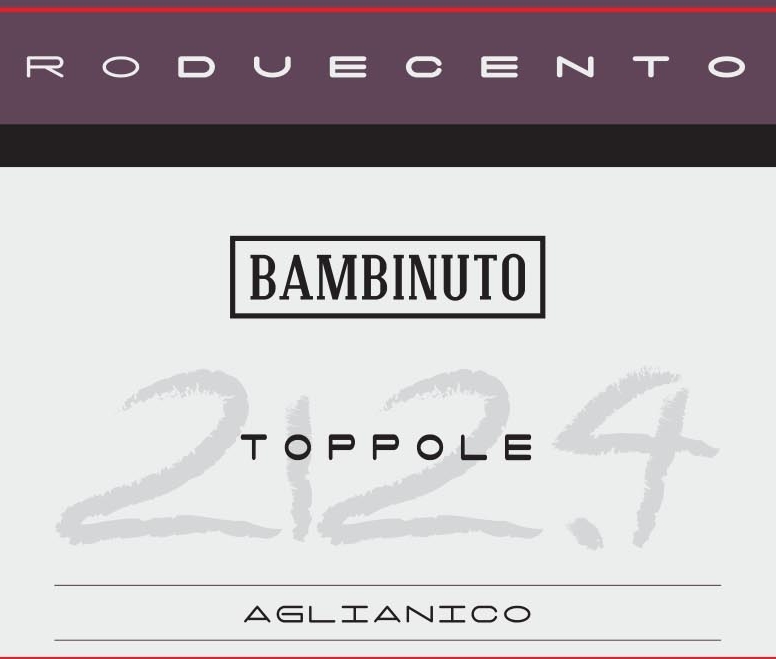 The name Bambinuto comes from "benevenuti" meaning "welcome." It's a word from their local dialect. Her mothers family comes from Venezuela and when they arrived in Santa Polina, they were told "bambinuto" with the intended meaning being "benvenuto" (welcome). This became her mother's family's nickname and thus the name of the winery. From one hectare of vines planted in 1992 on clay-limestone soils sitting 500 meters above sea level. The grapes are hand-harvested at the end of August and is macerated on skins for 40 days, followed by fermentation in steel with indigenous yeasts. Secondary fermentation takes place in the bottle on the lees for six years. Disgorged: April 2017 with extra brut dosage. From one hectare of vines planted in 1992 on clay-limestone soils sitting 500 meters above sea level. The grapes are hand-harvested around October 10th, de-stemmed and pressed with a little older wine - from grapes collected 10 days prior to cultivate the indigenous yeasts - followed by fermentation in steel. Temperature control only when necessary, aged on the lees for 10 months and kept in an anaerobic environment so as not to add sulfur. Filtered. 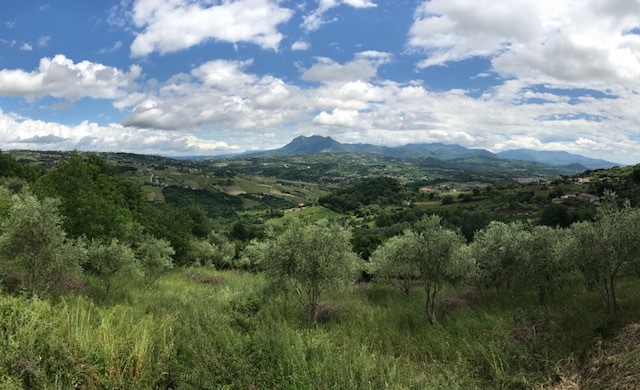 Irpinia Falanghina comes from the Toppole vineyard that was planted in 2010 and is situated at 550' above sea level with a south east exposure. Harvested at the end of September, the grapes were selectively picked then de-stemmed before crushing (instead of doing whole cluster fermentation) because it was a difficult year with some frost and disease. She selected yeasts in the vineyard the week prior. Fermentation and aging entirely in steel. The wine does not go through MLF. Ages for 6 months on the lees. From one hectare of vines planted in 2009 on chalky soils at around 550 meters above sea level. This wine is a combination of two previous vintages (2013 and 2015, 2014 was a lost crop) that have gone through four distinct vinifications due to the availbility of grapes from their estate: 1) grapes were manually de-stemmed and fermented whole berry, 2) de-stemmed gently, 3) whole cluster, and 4) partially de-stemmed and gently pressed. All fermentation occurred in steel with indigenous yeasts, blended and unfiltered. In using these techniques their goal was to explore the potential of a Taurasi Aglianico done completely in steel.